Shilpa Nadhan is the Manager of Social Impact and Global Responsibility at Marriott International, where she oversees the human rights portfolio, with a focus on human trafficking and forced labor, leads stakeholder engagement with nonprofits, industry coalitions, governments and academics, and supports the development of global policy on social investments, ethical recruitment and strategic partnerships. 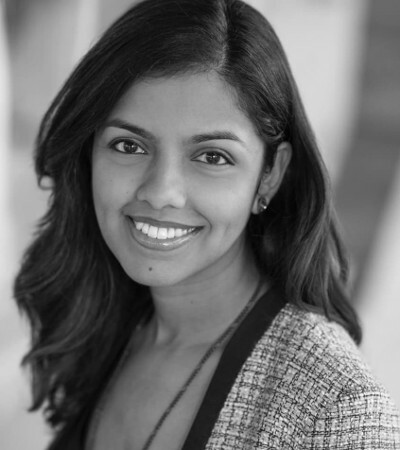 Shilpa most recently spent 6 years at the International Organization for Migration (IOM), leading programs in Afghanistan, Yemen, Iraq, Myanmar and Haiti to support displaced populations, refugees and survivors of modern slavery. Before IOM, she was with the International Rescue Committee and the U.S. Institute of Peace, highlighting the needs of vulnerable communities to legislators and the public. Prior to her work in human rights and international development, she started her professional career in publishing and film in New York and Los Angeles. She has a dual Bachelor’s degree in English Literature and Media Communications from New York University and a Master’s in International Relations from Georgetown University.